 Caffe Vita has been roasting coffee in Seattle since 1995 as an independent & locally-owned company. From our beginnings at the base of Seattle’s Queen Anne neighborhood, we now operate 13 cafes throughout Seattle, Portland, New York, and Los Angeles. Caffe Vita coffee is always fresh, imported directly from the farm, and roasted on-site in Seattle, Brooklyn, and Portland. We are pioneers of the Farm Direct movement, meticulously sourcing the best coffee available while developing long-term, mutually fruitful relationships with coffee growers in more than 11 countries. We work with and invest in farmers who are committed to sustainable practices. By creating an environment where the customer can see, touch, and taste the coffee they purchase, we provide a unique learning opportunity that allows our coffee to speak for itself. Caffe Vita is always fresh, imported directly from the farm and roasted on-site. Public Brewing School (PBS) is our complimentary class that delves into the world of understanding and brewing better coffee at home. PBS focuses on manual brewing methods but is also an open forum to talk all things coffee! Come hang out and explore the joys and benefits of using a variety of brewing methods. Some examples of the brewing methods covered are French Press, Chemex, Bonmac Pour Over, and Aeropress. Classes are held on Sundays from 10am to 12pm at Caffe Vita's roasting facility on Capitol Hill, and yes, it's free! The 2019 PBS dates are listed below. To register, click this link or send us an email: trainingdept@caffevita.com with your preferred date!